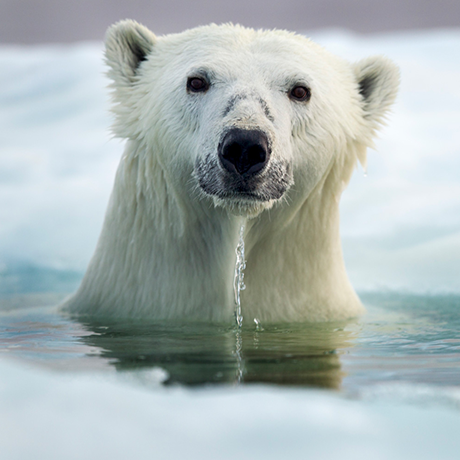 Native to the arctic, Canada and Alaska, these enormous, powerful bears have black skin under their thick, white coats. The largest, land based carnivores, they eat seals and fish. Using their remarkable sense of smell, they can detect seals under 1 metre of compacted snow from almost a kilometre away. With razor sharp teeth, 6 inch claws and massive bulk, they have no natural enemies. Capable of swimming continuously for 60 miles, they have been known to scavenge near human settlements.